The Rebels, or should we call them the relocated Force? As I mentioned elsewhere, the Rebels have had an off-season garage sale, disposing of no less than 26 of last year’s squad, and then recruiting 20 new signings, most of them (11) from the Force. Ex-Force coach David Wessels, was also recruited as 2017 coach, Tony McGahan, was also disposed of during the massive garage clean-out at the end of 2017. The few Rebels fans in Melbourne will be hoping that this clean-out and refilling of the ranks will somehow turn the Rebels into a competitive outfit after some pretty horrid years in Super Rugby. They have been poor since their arrival on the Super scene in 2011, but 2017 was about as bad as it could get. Stone cold last. Even the Sunwolves managed to climb a slot above the Rebels in the overall log. 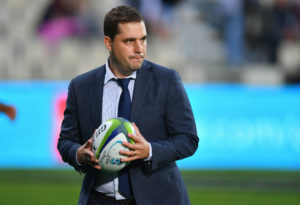 Their off-season recruitment drive has brought in the likes of Will Genia, Adam Coleman, Geoff Parling, Amanaki Mafi, and Lopeti Timani, together with a new coach, the highly rated Dave Wessels. Their fixture list does offer them the opportunity to start on the front foot. They play the Reds at home as the season opener, and then take on the Sunwolves in Tokyo. If they can bank a win, perhaps two, in these two fixtures, then 2018 might be a happier year. Their next 5 fixtures are all back in Australia, and four are at home in Melbourne. They play the Brumbies in Melbourne, the Tahs in Sydney, and then it is the Sharks, Hurricanes, and Jaguares all in Melbourne. Then they have to hit the road. The Bulls and Stormers in South Africa, before returning home to play the Crusaders, off to Canberra for the Brumbies, and then back home again for the Sunwolves. This is followed by a sticky one against the Blues in New Zealand, then home again for the Tahs, the Reds in Brisbane, and a season ender against the Highlanders over in New Zealand. There is not much point in spending time delving into the Rebels squad. Essentially, this is a brand-new rugby club, with a host of changes to personnel at every level within the club. We have no idea how the new recruits will settle down in a new city and a totally different environment, despite so many coming from a club on the other side of the country. We have no idea how they will play the game, what their focus points will be, strategies, tactics and game plans are all a mystery, so we cannot talk about squad continuity et al. I have my doubts. Yes, deploy cliché: It cannot get worse than stone last, so the only way is up for the Rebels. Some may say it is a new squad, though a lot of the players know each other from the Force, and they know the coach. It will take time to build a winning team and a winning culture. However, I would be surprised if 2018 was as bad as 2017. The injection of Force players will be a boost, as they bring some serious determination, something that has been missing in the Rebels for a long time.